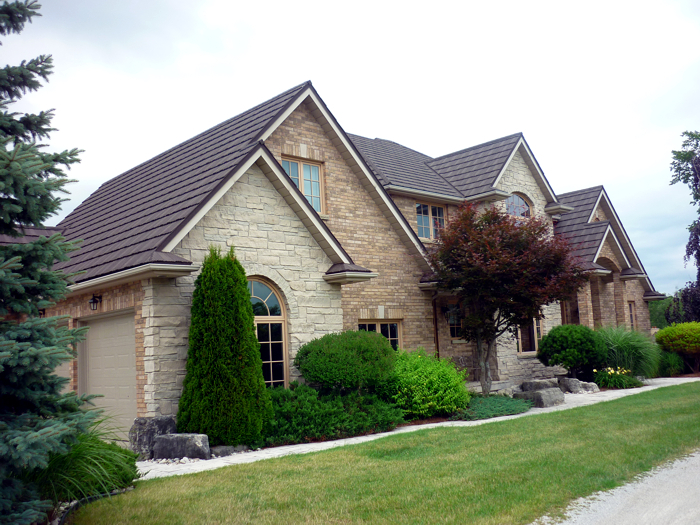 This single-story Thamesville, Ontario home has unique stonework which is suited to a classic roof look – this family chose a traditional Shake-style steel roof in the colour Natural Wood from Metal Roof Outlet. 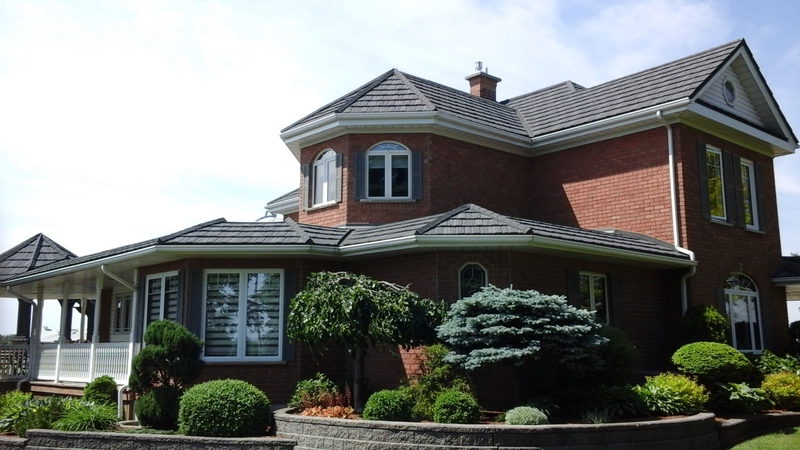 The pretty gabled roof of this home is protected and beautified by a steel shake roof from Metal Roof Outlet, Ontario. 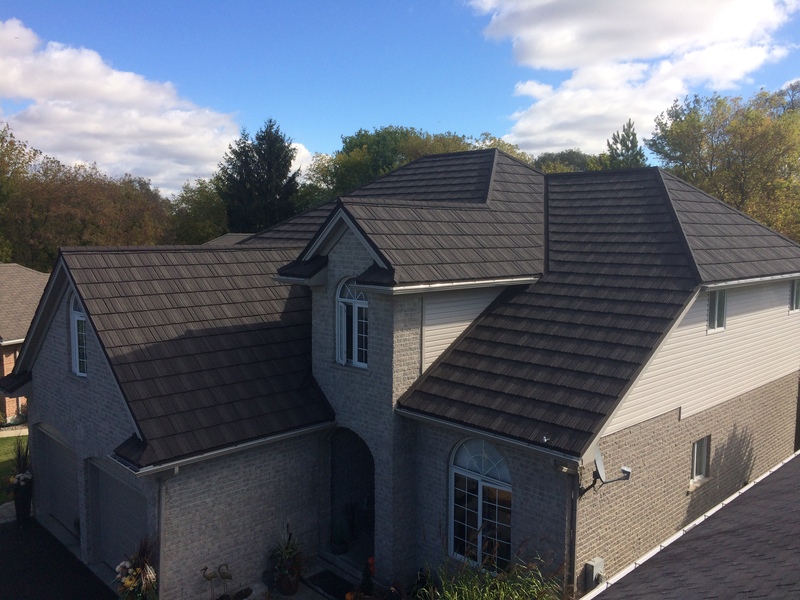 This steel shake roof in Chatham, Ontario creates a classic look in the colour Weathered Timber, backed by a beautiful blue sky,. 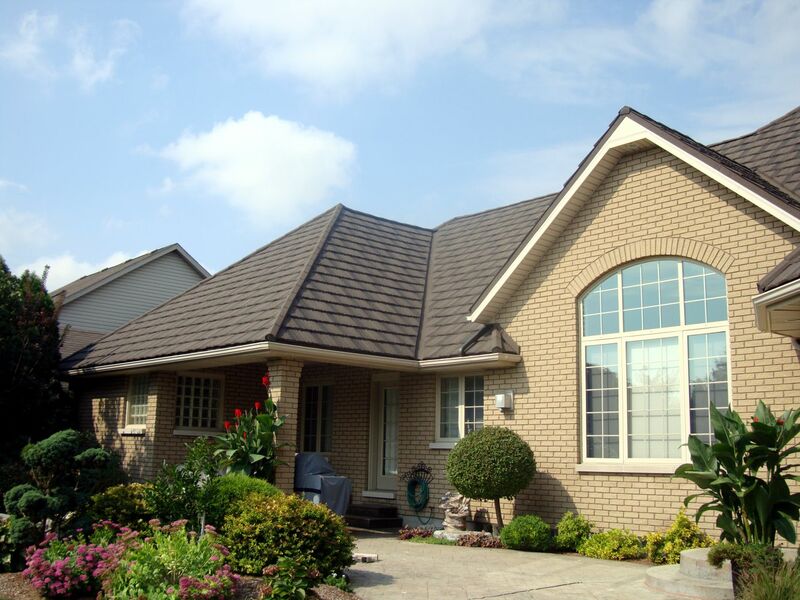 This sweet home in Chatham, Ontario has a lovely barbecue nook and a large arched window, topped off by a steel shake roof from Metal Roof Outlet. 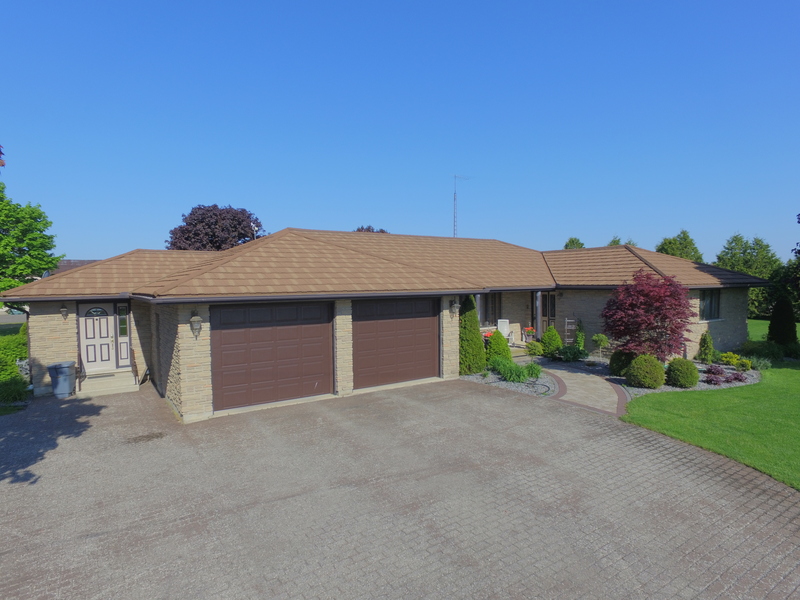 This home in Chatham, Ontario features a lovely two car garage, a stone façade, and a beautiful and durable metal shake roof in the colour Weathered Timber. 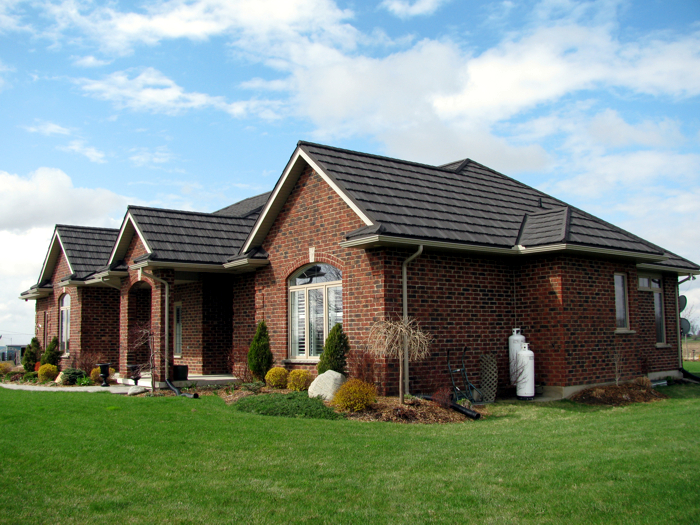 This red brick home in Ontario features a steel shake roof by Metal Roof Outlet. 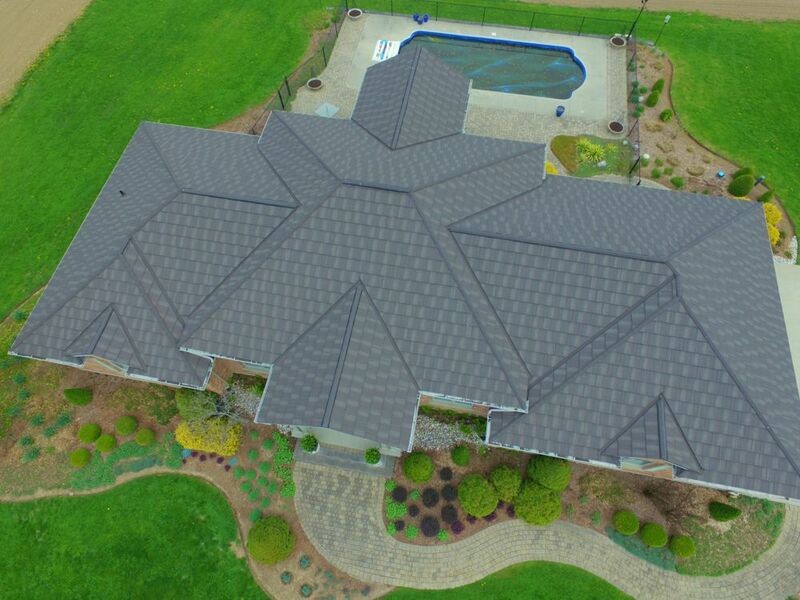 Here is a closer look at this Ontario home’s unique architectural design and beautiful new roof from Metal Roof Outlet. 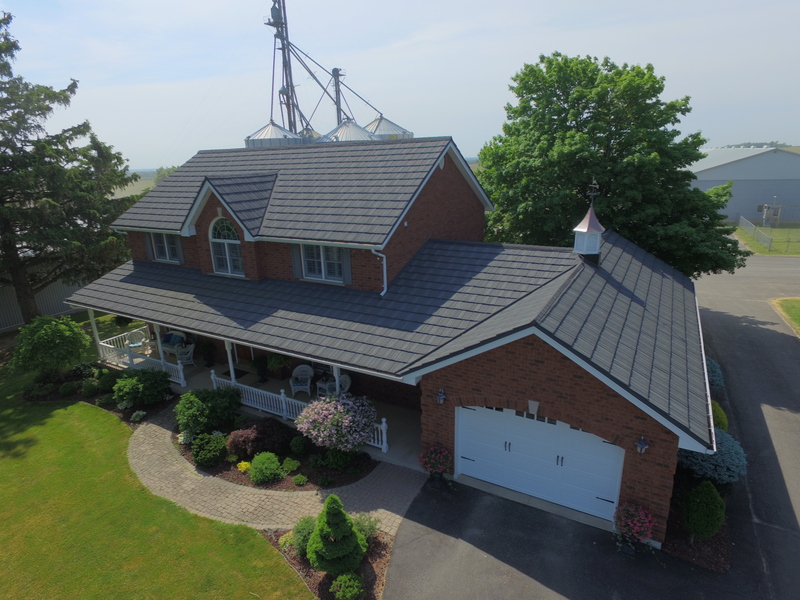 This Rural Ontario farmhouse features a beautiful metal shake roof in weathered wood from Metal Roof Outlet. 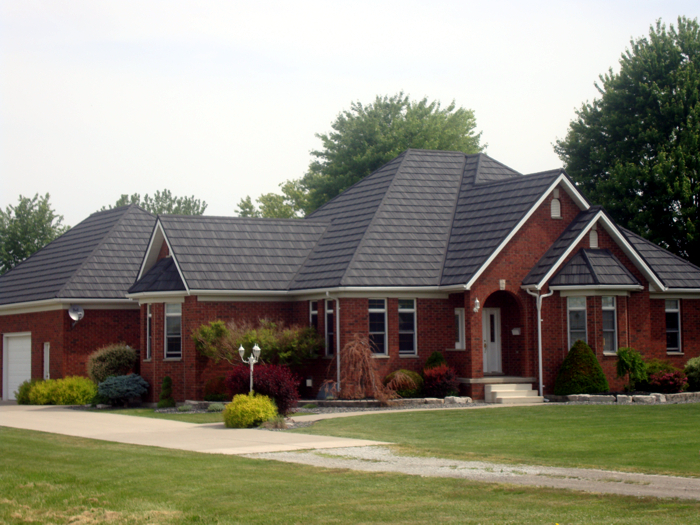 Here is another angle of that same Ontario home, showing its sweet gables and lovely covered porch – all protected by a steel shake roof by Metal Roof Outlet. 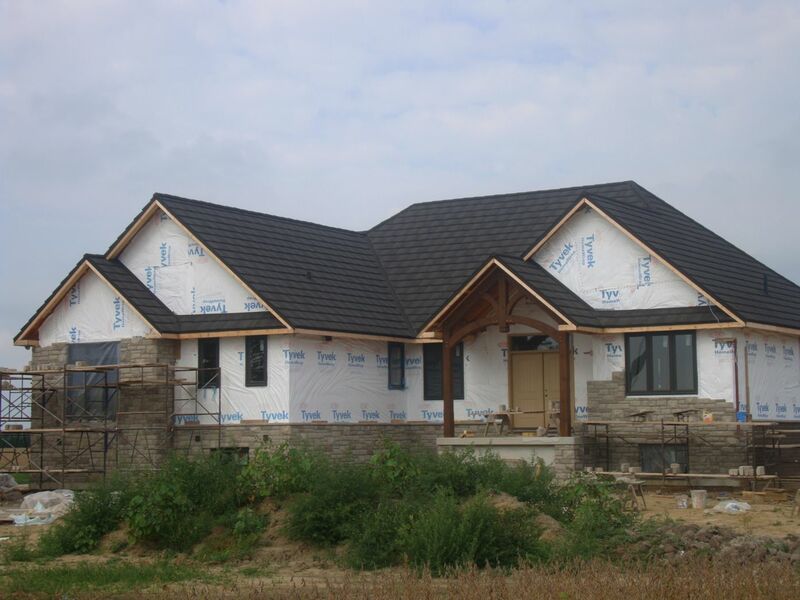 The beautiful arched entryway of this soon-to-be=-finished house is accented by a steel shake roof from Metal Roof Outlet, Ontario. 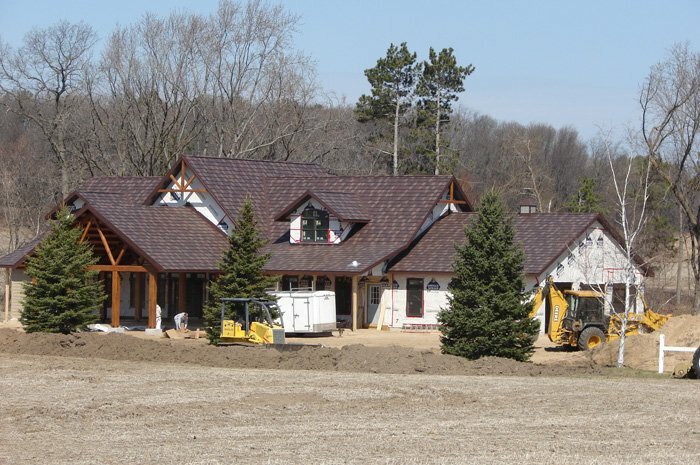 This under-construction Dresden, Ontario home already features a gorgeous steel shake roof in the colour Shadow Wood, which will give this new structure exceptional longevity. 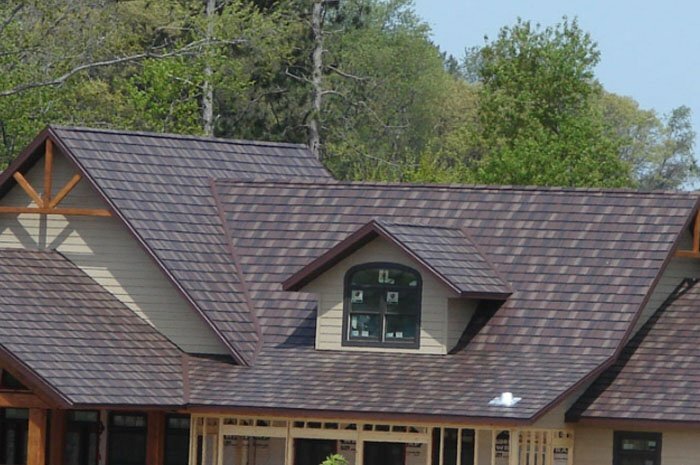 Metal Shake roofing in the colour Sandalwood from Metal Roof Outlet in Ontario. 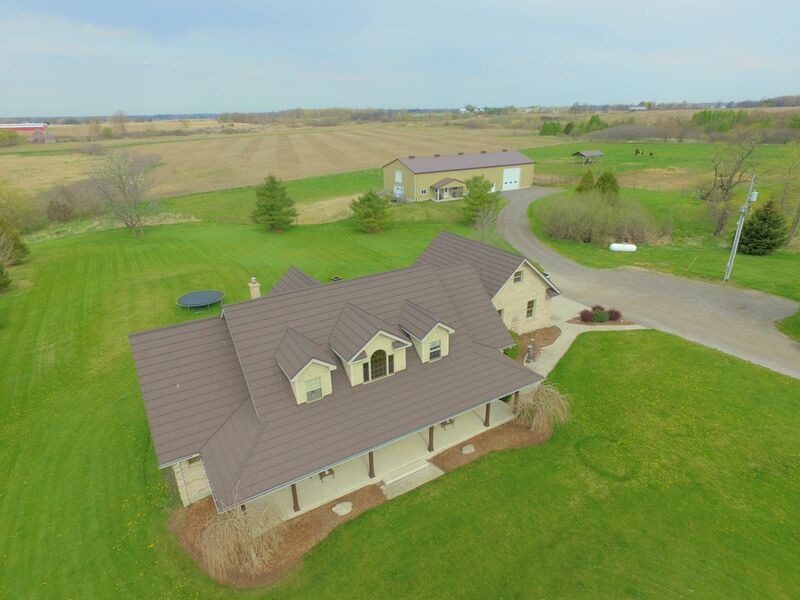 This sprawling home has many peaks and extensions, but Metal Roof Outlet’s professional installation team had no problem covering it with a Steel Shake roof. 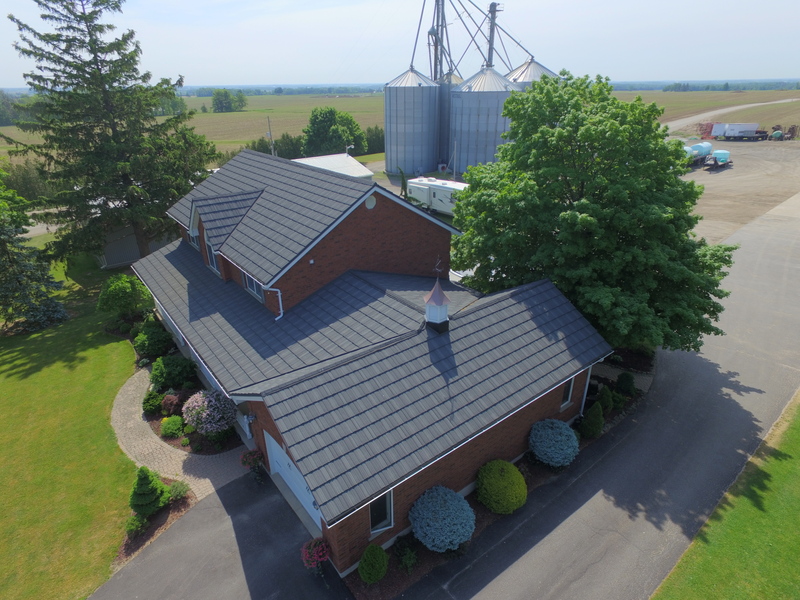 This lovely farmhouse in Rural Ontario is topped with a steel shake roof in a natural slate colour by Metal Roof Outlet. 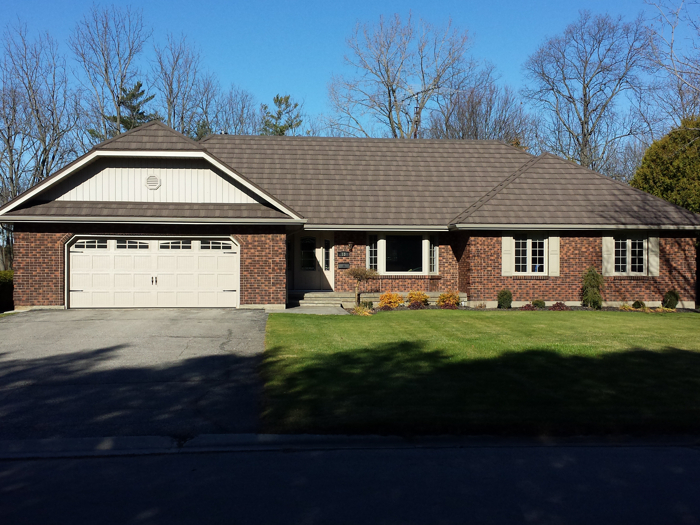 This red brick bungalow in Ontario is finished with a Steel Shake roof in Natural Wood by Metal Roof Outlet. 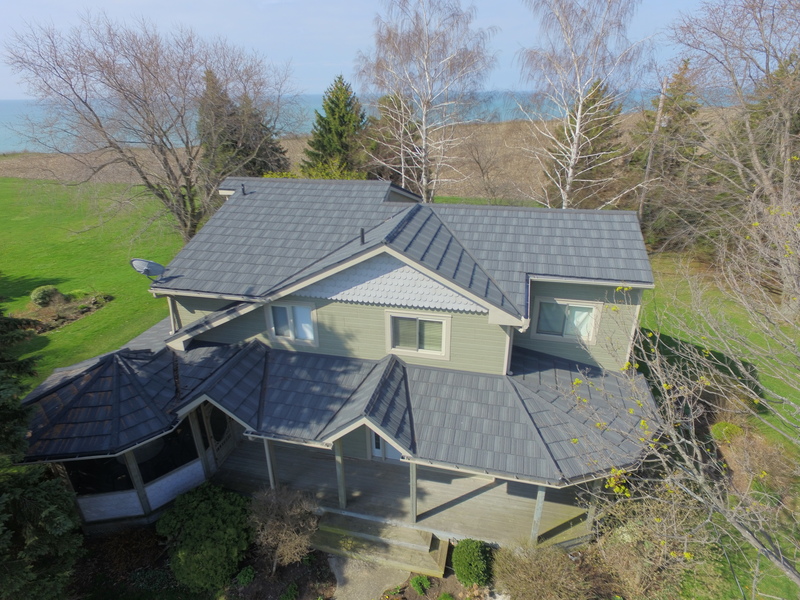 This family home outside of Port Stanley, Ontario features a Metal Shake roof in Weathered Wood, with a little shed to match. 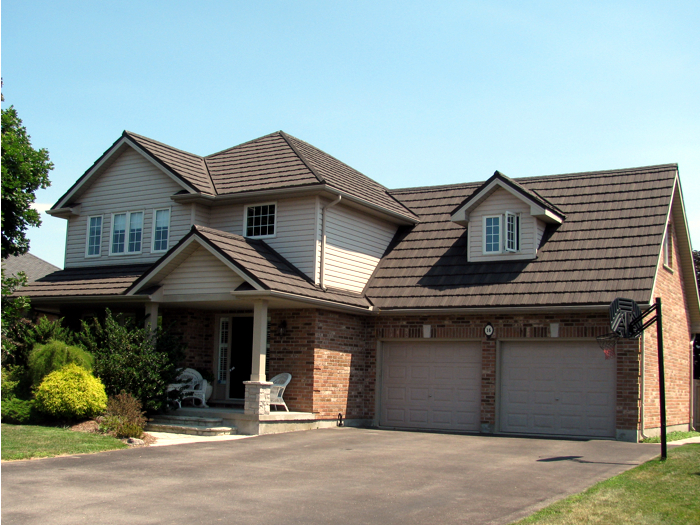 This Ontario home complemented their cream-coloured siding with a Metal Shake roof in a natural wood style. 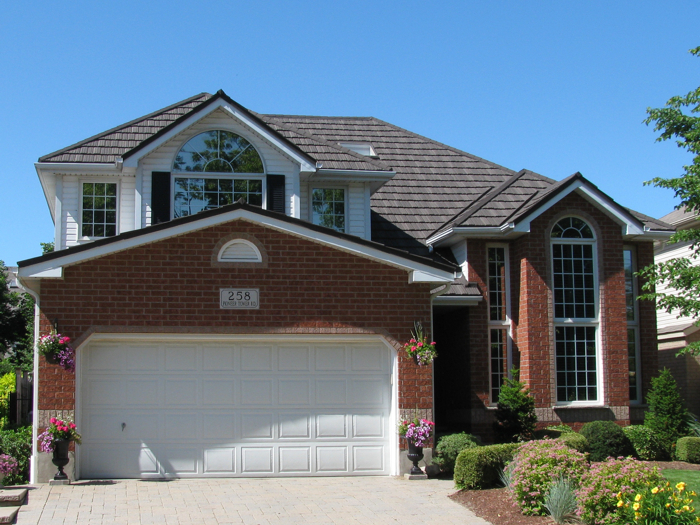 This Ontario home has a multi-level roof, which can be difficult for installers to navigate. 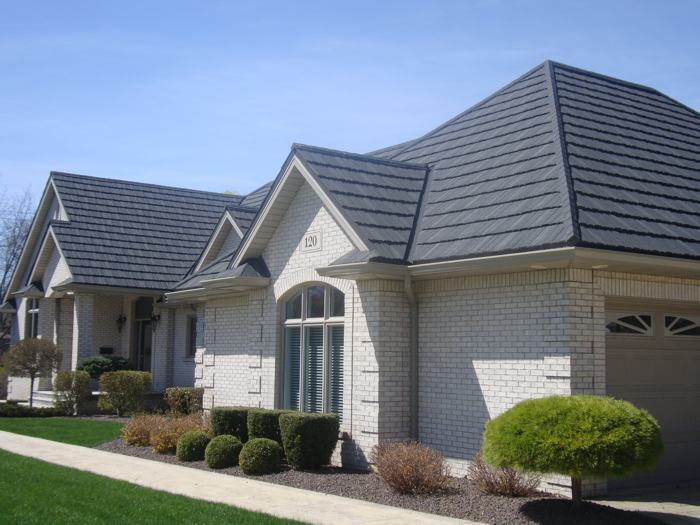 The skilled team at Metal Roof Outlet made sure this family could enjoy a beautiful and safe Steel Shake roof for years to come. 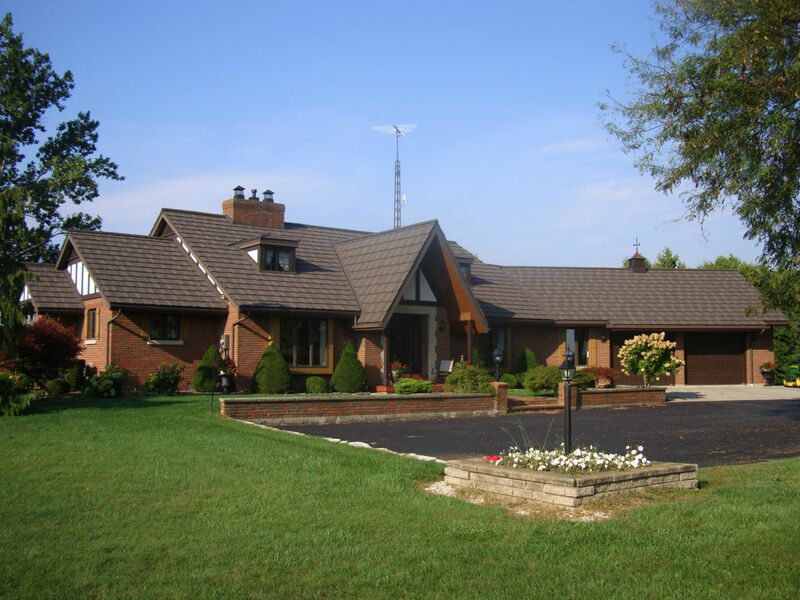 This Ontario home is dressed in autumn colours. 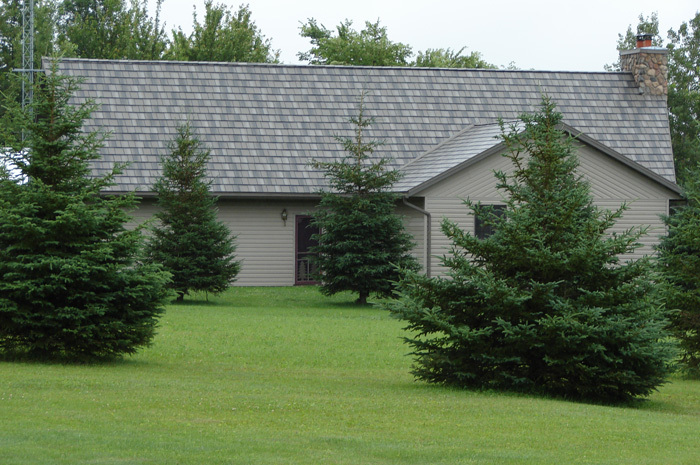 The Steel Shake roof in Natural Wood completes the look of an autmnal tree. 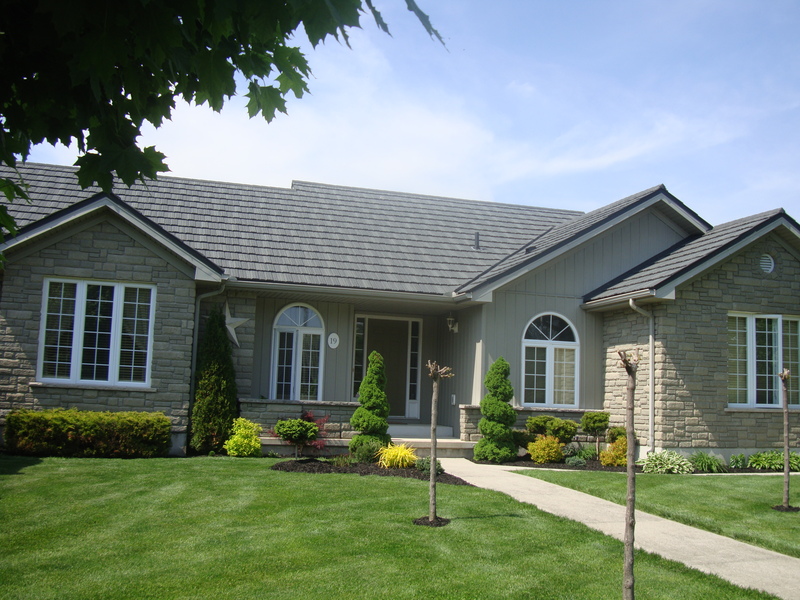 This cottage-like home in Ontario features a mix of fieldstone and brick, topped off with a durable and beautiful Steel Shake roof by Metal Roof Outlet. 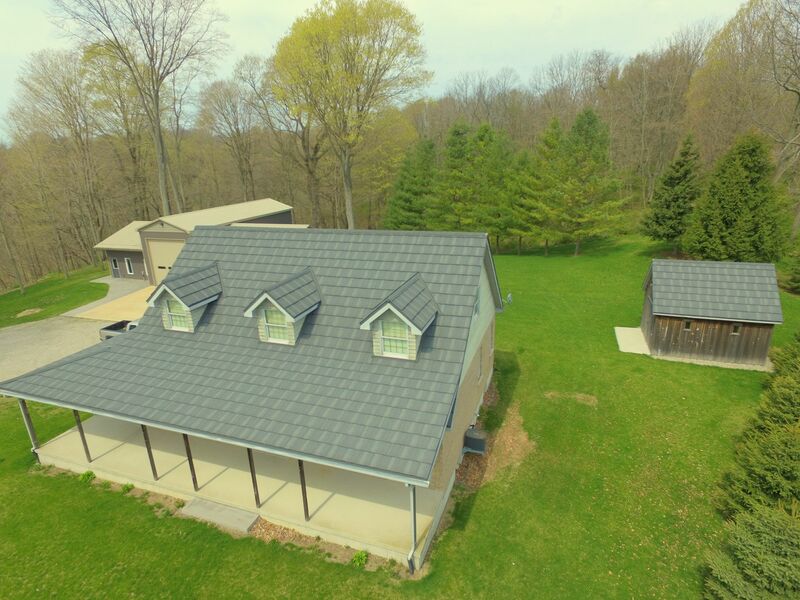 This steel shake roofing in Weathered Wood emphasizes the elegance of the turrets on this beautiful home in Kilworth, Ontario. 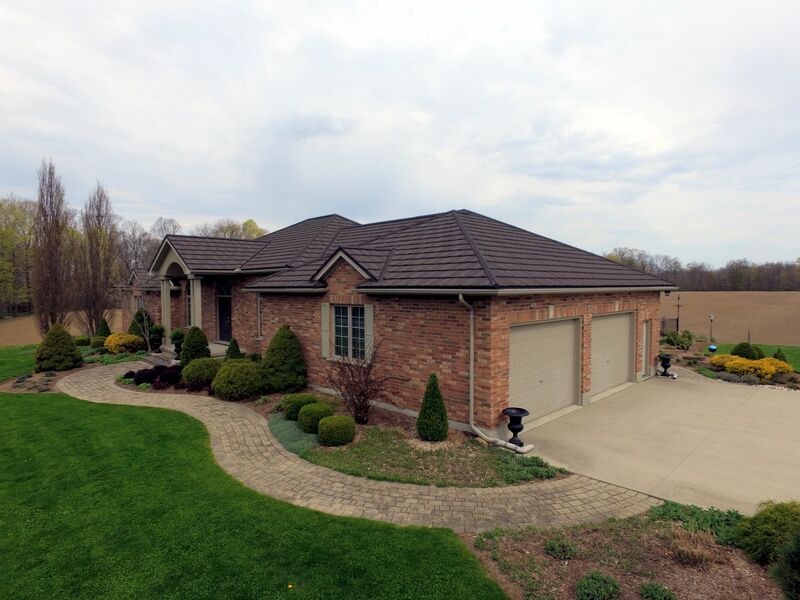 The high ceilings on this grand Ontario home means lots of roof space. 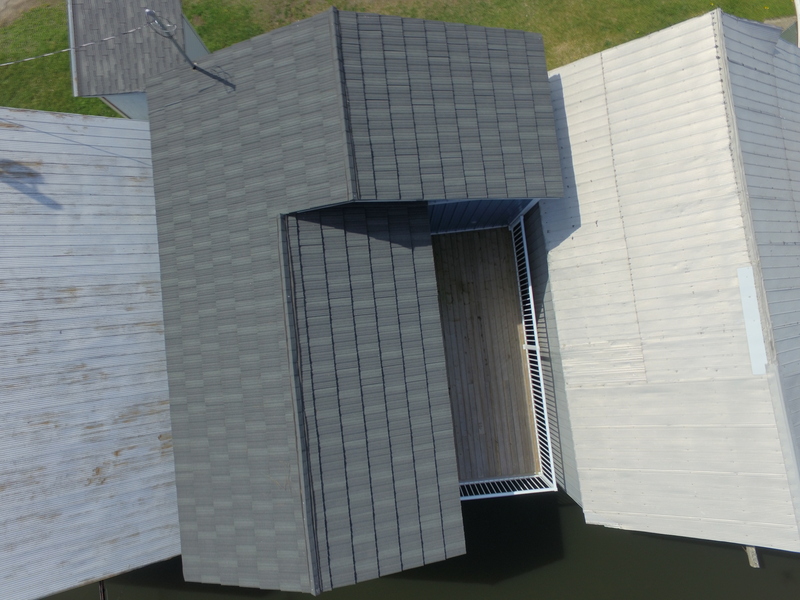 Finished in Natural Wood Steel Shake, this vast roof space looks sleek and coordinated. 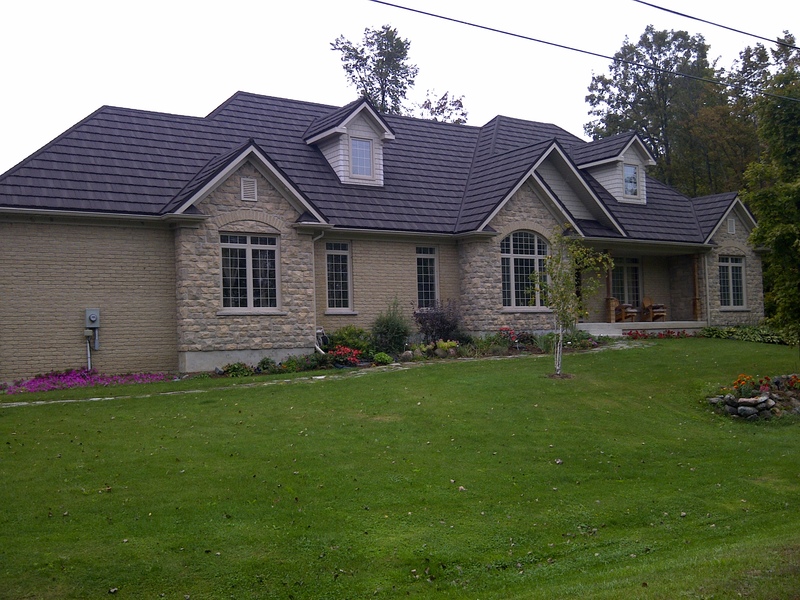 This one story Ontario home features Steel Shake in the colour Natural Wood installed by Metal Roof Outlet. The subtle variances in grey tones in Weathered Wood Steel Shake complement this Ontario home’s cool, monochromatic grey palette. 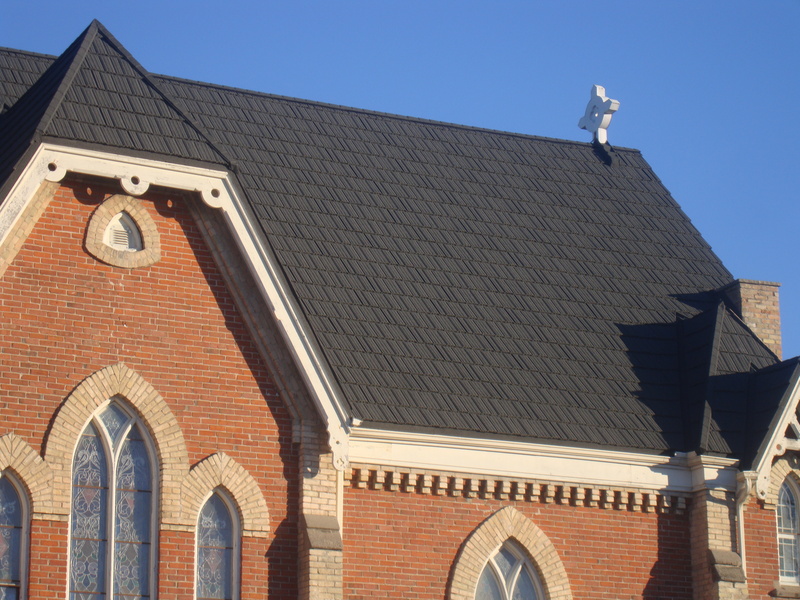 Metal Roof Outlet is not limited to residential projects – this steeply sloped church roof is now decked out in Steel Shake in the colour Weathered Slate. 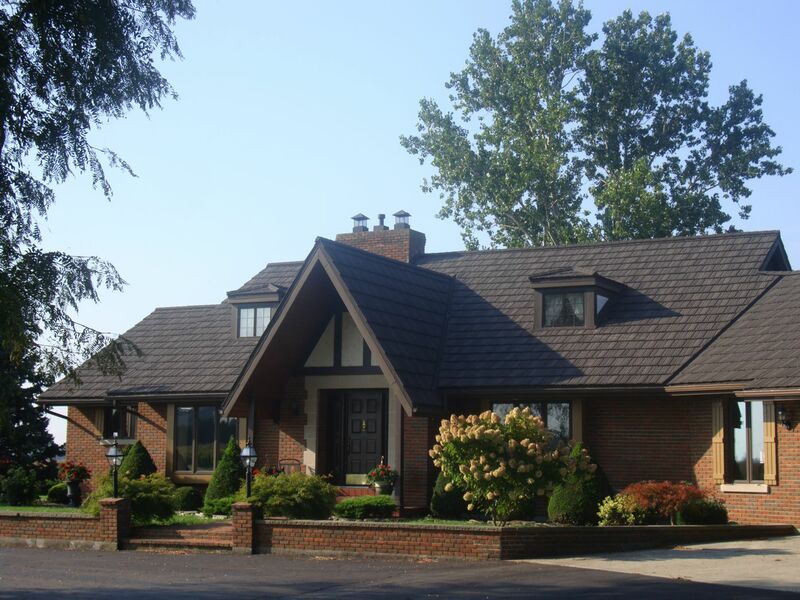 This sprawling bungalow in London, Ontario features a lasting and classically stylish steel shake roof from Metal Roof Outlet. 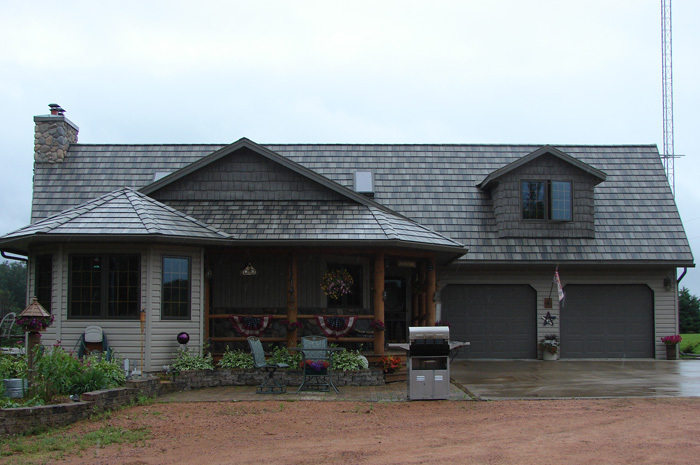 This side-split home features a weathered wood-style steel shake roof from Metal Roof Outlet in Ontario. 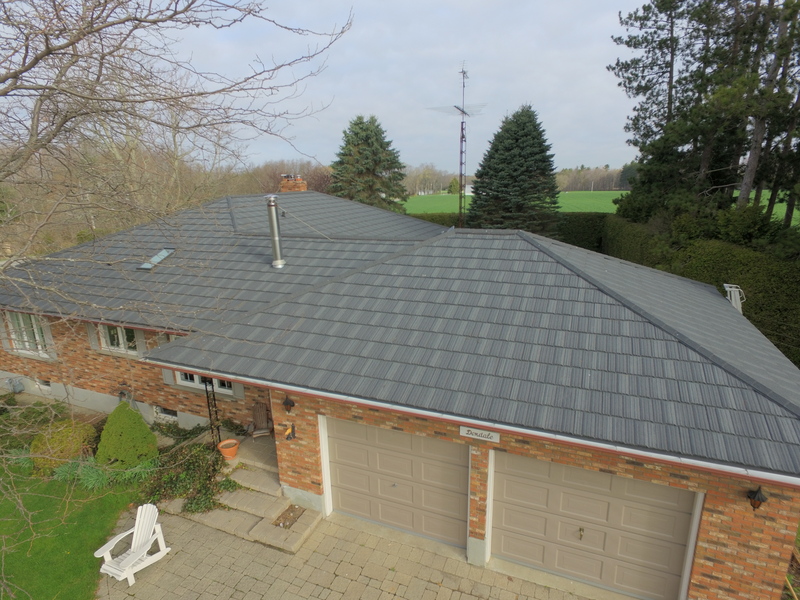 The neutral grey of this steel shake roof by Metal Roof Outlet pairs well with the deep auburn brick of this Ontario home. 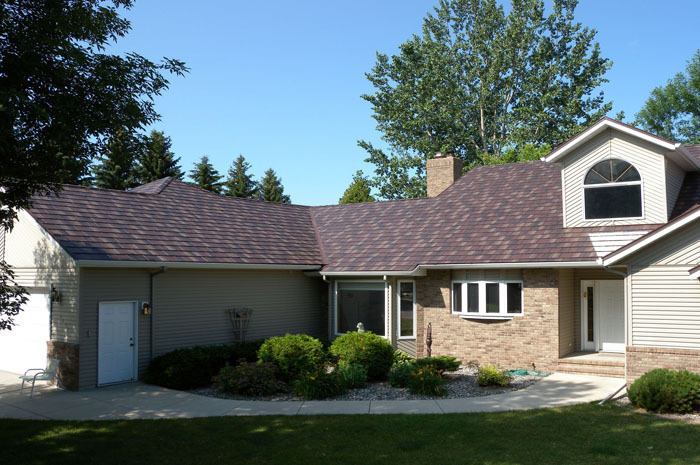 This Ontario homeowner chose a beautiful, dusty grey weathered wood-style steel shake roof from Metal Roof Outlet to offset airy white bricks. 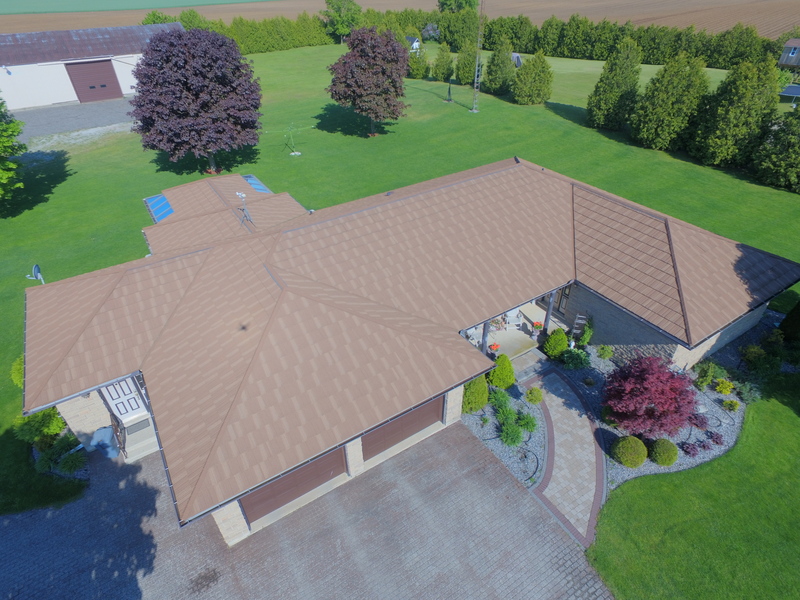 This Ontario homeowner makes the most of their prominent roof with a natural wood-style steel shake from Metal Roof Outlet. 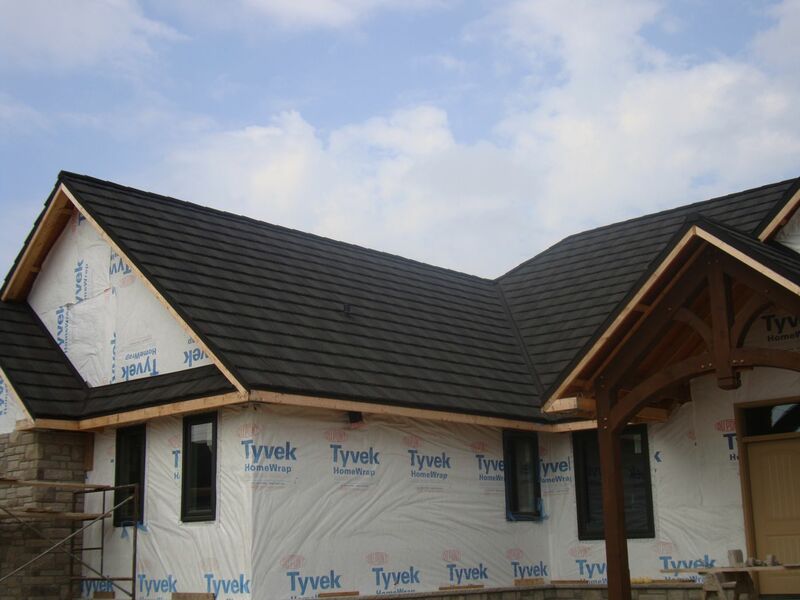 This house is still being built, but Metal Roof Outlet’s efficient team has already installed a gorgeous steel shake roof. 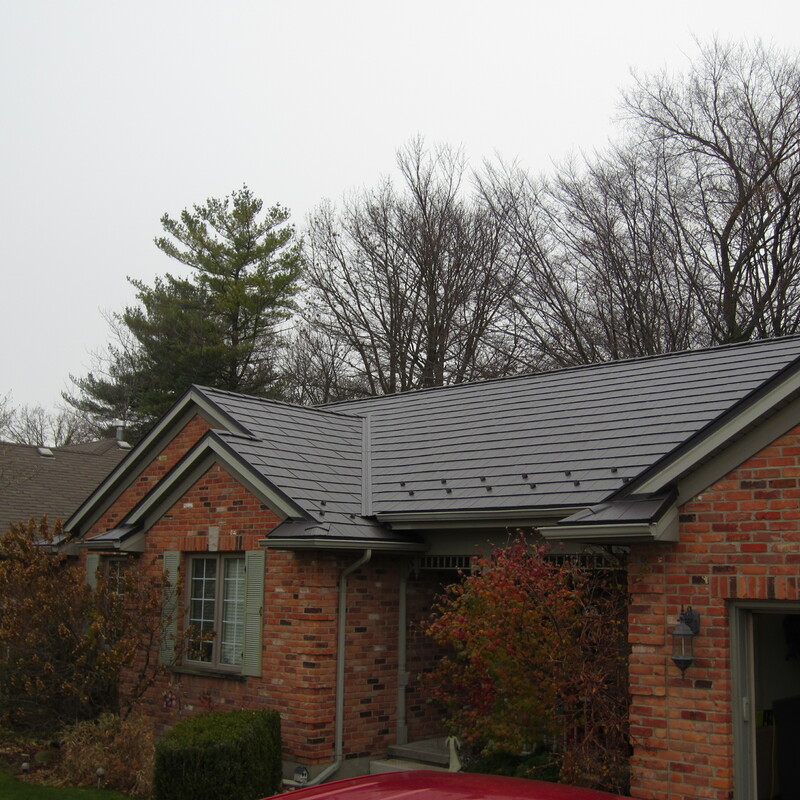 Here is a closer look at the steel shake roof Metal Roof Outlet’s team installed. 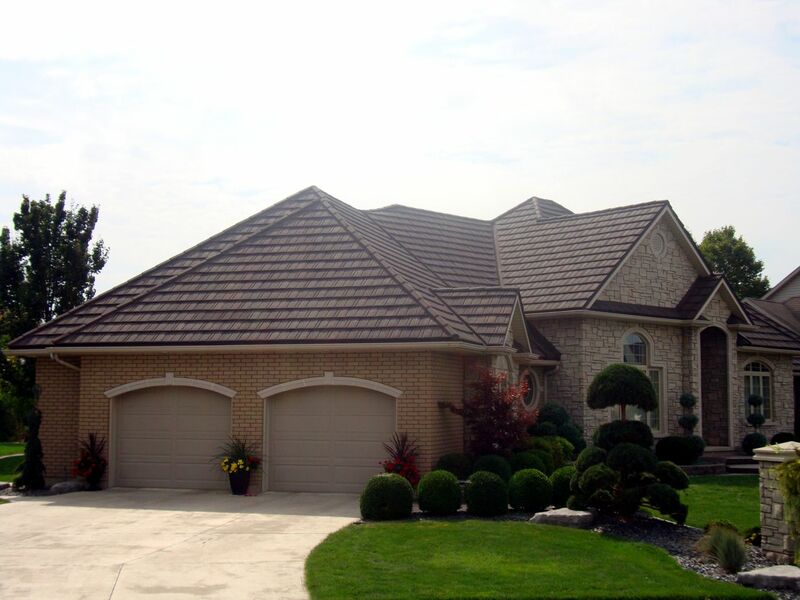 This one story Ontario home features a lovely steel shake roof by Metal Roof Outlet. 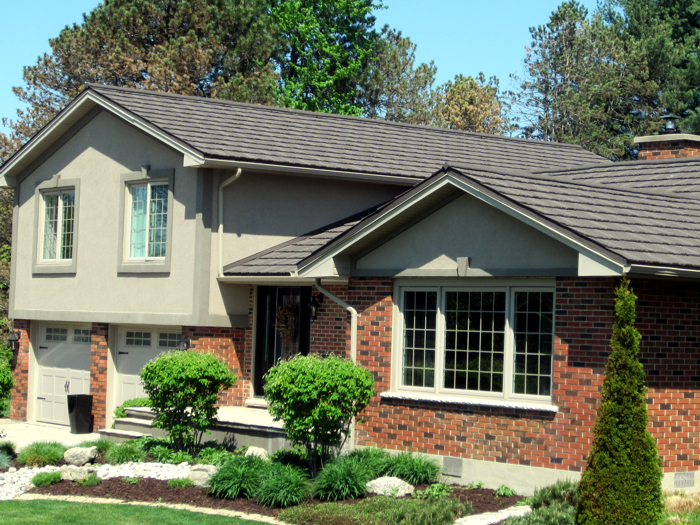 We love the monochromatic look of a slightly varied dove grey shake roof paired with dove grey siding. 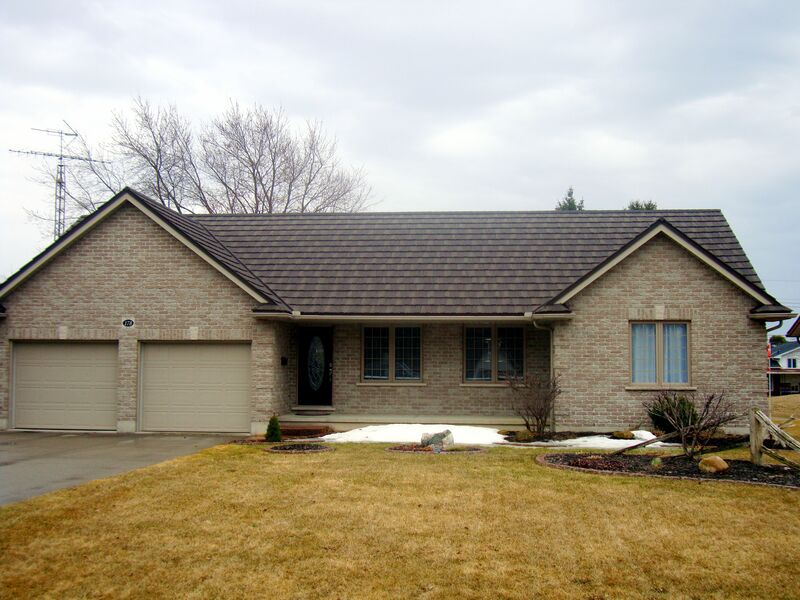 This Ontario house combines brick, siding, and a metal shake roof by Metal Roof Outlet. 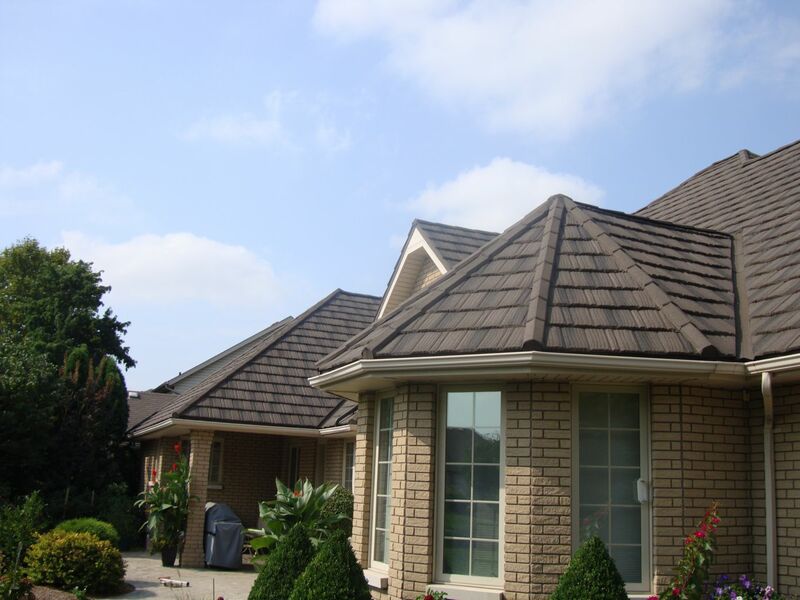 This style of metal roof is Edco Arrowline Shake in the colour Statuary Bronze. 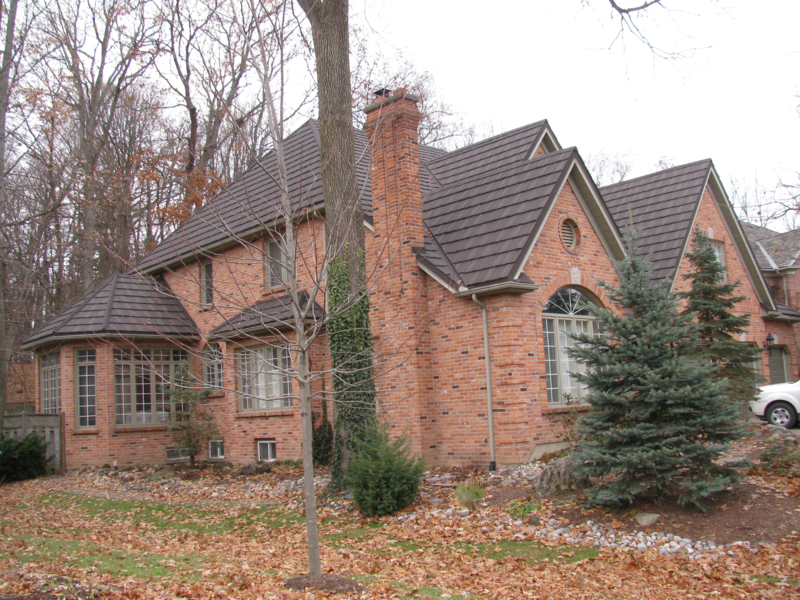 The lovely pumpkin orange of thie brick on this Ontario home needed a subtle shade like the Weathered Wood finish on this steel shake roof. 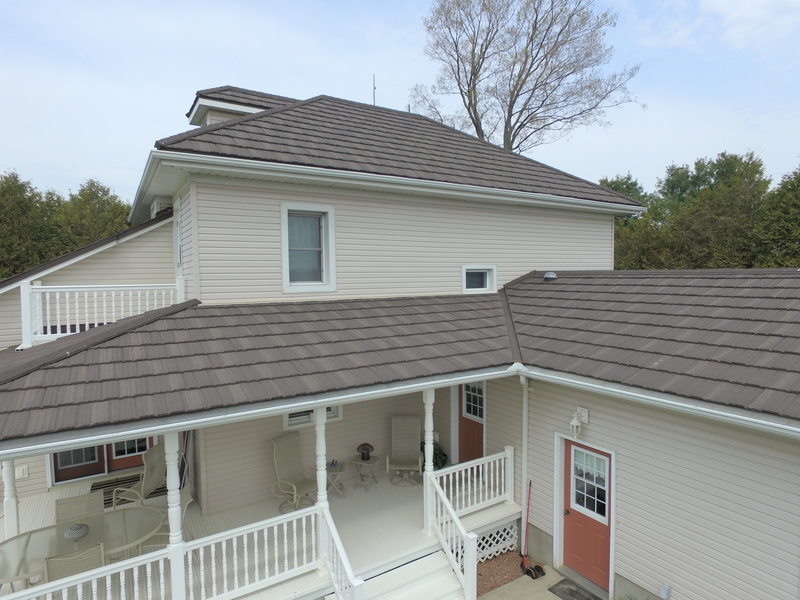 This riverside cottage is topped off with a lovely steel shake roof in a Weathered Wood finish by Metal Roof Outlet, Ontario. 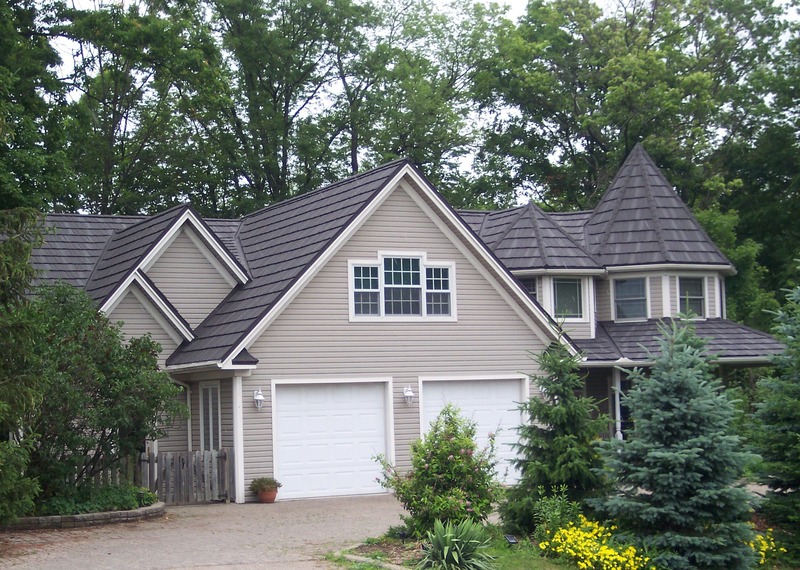 This beautiful lakeside Ontario home features a steel shake roof in the Weathered Wood finish, skilfully installed by Metal Roof Outlet. 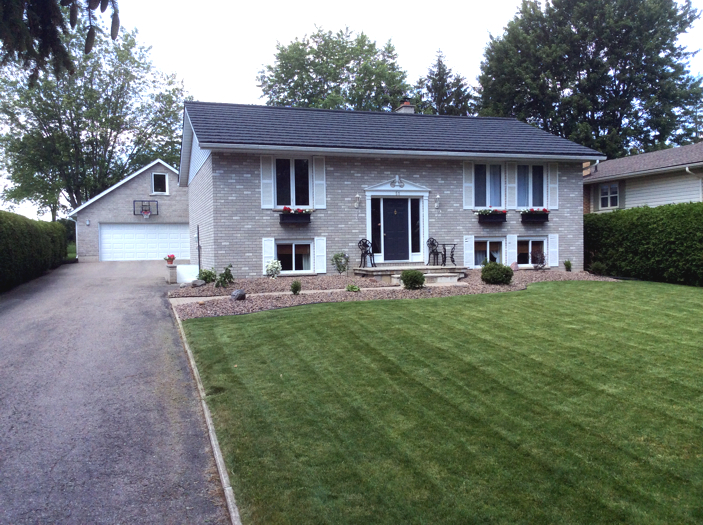 Very Professional & clean service!